Observing the effect of tree search routines on the initial inferred tree topology. In this exercise you are asked to optimise the tree topology on the substitution parameters obtained using ML performing a tree search (i.e. 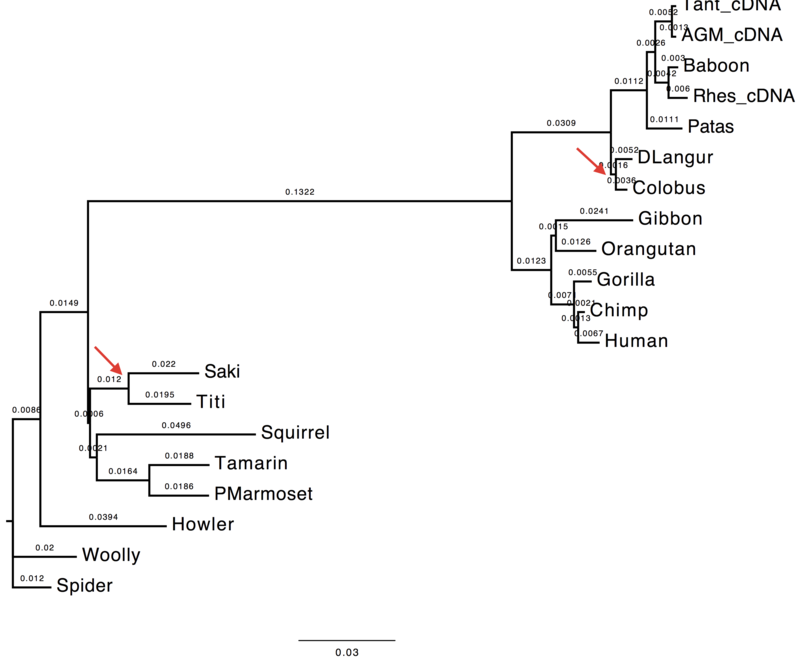 NNI, SPR, TBR) on the initial tree topology. 1. Compare the trees obtained with and without tree-search. What do you observe and why? 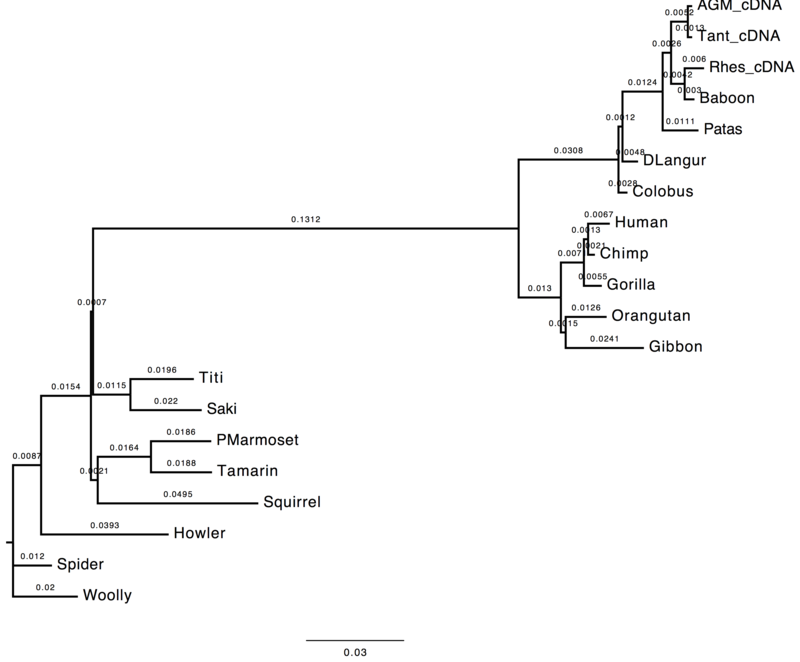 The topology inferred without tree search presents a variation in the internal node attribution for the clades (Saki,Titi). 2. Compare the model estimates with and without tree-search. What do you observe and why? The transition/transversion ratio differs slightly between the two runs. As the matter of fact, parameter appears to have a higher value when tree-search is not performed. 3. Compare the likelihood of the ML and NJ trees. What do you observe and why? The likelihood value obtained without tree-search is lower than the value obtain performing the topology optimisation. This value is expected since the substitution parameters are optimised over the first inferred tree topology which did not undergo any refinement.